Laundry, Dry cleaning, Shoe repair & Invisible mending. Dry cleaning your clothes has never been easier. Have your clothes picked up and cleaned by professionals the way they are suppose to be. We will have your clothing delivered back to you clean and folded. That’s it, Easy and Fast. 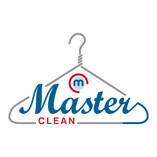 Master Clean is... a network of the very best Dry Cleaners. The service provides the very best Dry Cleaning and Laundry in the business combined with great customer service and super convenient collection and delivery at times that suit you. The service is simple – you can place an order in a matter of seconds, then an expert cleaner will collect and clean your items, returning them cleaned and pressed less than 48 hours or later. Our flexible collection and delivery times, mean you don’t have to deal with restrictive opening times. Thousands of customers trust Master Clean with their laundry and cleaning. Each item we clean is treated with professional care by our highly experienced team of experts, who provide a world class cleaning service, each time. dry cleaning services to clients with a friendly price. Master Dry Cleaner offers a professional service. Master Dry Cleaner gets optimal results from what is available. Very happy with my frequent visits to Belsize Park cleaners. Marie is always lovely and chatty and the service on my shirts is always fast and efficient. VERY HONEST too. If you manage to be as absent minded as my husband and leave money in the top pocket of his shirt - they phone you and let you know. I was most impressed. My husband had apparently been phoning the restaurant he had been in to see if he had dropped the money there, so we were really happy when we had a call telling us they found it. I have consistently had problems to login to the website. I cannot use it as it takes too much time and troubles while the cleaning service itself is excellent. Fantastic service and amazing customer care!!! I brought my coat with red wine stain and it came out! Highly recommended! I will definitely use them again. Provided first class service. Will definitely use again. Good and friendly service. Excellent quality of all dry cleaning and ironing. Will definitely use again. First class service. Altered jacket while I waited! Fabulous service. Will definitely use again.